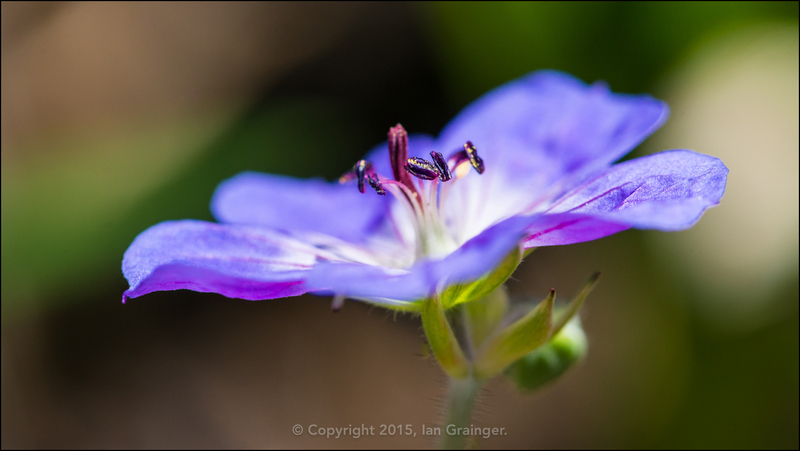 One of my favourite things to photograph are flowers, especially if I've grown them myself. To back up this statement, you may remember that last year I completed a project where I took one hundred images of flora, all shot against a black background. You can read the article I wrote detailing the experience here and see the images I shot for the project here. Unfortunately, I've rather neglected my love of floral photography this year, but found some time last week to get out into my garden and hunt down some appropriate subjects. This Geranium Rozanne turned out to be my favourite from my impromptu photo shoot, and apparently I'm not alone in loving its violet blue blooms! Geranium Rozanne was voted as Plant of the Centenary by members of the public, which was an accolade created to celebrate the RHS Chelsea Flower Show’s 100th anniversary.